My motto here on TTLWH always been, "it's my blog and I write what I want to", but I guess that isn't entirely true. I want people to read what I write, otherwise, what's the point of having a blog? I do pay attention to my stats and based on that I have made some changes to my posts. You may have noticed more lists this year. People love lists. Pinterest loves lists. GA doesn't lie and one of my biggest social media referral sources is Pinterest. I unleashed my creativity to develop pins that people would want to share. It's a work in progress, but it's been a lot of fun so far! The most popular post this year was a post from last December. 5 Things You Might Not Know About Winter Running was my most popular post this year. Misery loves company, apparently. When you live in a place that gets colder than Mars, you strike a chord with fellow sufferers. Interestingly, we are currently having that very same weather! Rounding out the top 3 most popular posts included Staying the Course: 10 Tips to Get You Through a Tough Run, and 8 Ways to Cope When You Can't Run. My favorite post? That's a tough one. Sometimes I wrap up a post and think to myself: That's the money post! And then it's not. I did hit the jackpot with one of my favorites: 10 Tips for Survival When You are Married to a Non-Runner, which ended up being #4 of my most popular posts all year. This was a fun post to write and my non-running spouse loved it as much as I did. Clearly, I'm not the only runner whose husband is less than enamored with my hobby. According to GA, on an average day, my blog gets about 200 visitors per day. Sure, go ahead and laugh but come on--it's not bad for a little blog on the Blogger platform with no ads (why doesn't Google AdWords like me?) and no SEO! But riddle me this: on July 7, I had 1039 visitors. Fully 78% of those readers were new visitors to my blog. What happened on that day? Was I hit with spammers? A Russian hack? Not at all. A quick analysis of the data shows that post I published in May about being married to a non-runner got legs. Where did all this traffic come from? Yep, you guessed it. Pinterest. I had that happen a few times this year. 40% of my visitors come from social media, and out of that, 68% are from Pinterest. Just to demonstrate how important it is to have good pins, one of my top 10 posts of the year is from as recently as November, 12 Days of Running Gifts. I had another big spike in viewers the weekend after I published that post and pin. While readership is important to me, I still have to be true to myself and write about things that matter to me, page views be damned. Good content still rules. This year, I was diagnosed with rheumatoid arthritis, and I wrote about it. A lot. I also grew a whole new audience, showing people that you can still run and be active with a chronic inflammatory condition. While there were plenty of days that I really wanted to let my hair down and cry and complain, no one wants to read anything authored by Debbie Downer or Wendy Whiner. That realization kept me on track to write positive, motivating posts that were more therapeutic for me than anything. Thank you all for that. I'm still on the fence about monetizing my blog. While I am an Amazon Affiliate, I haven't gone much further than that. I tried to install GoogleAdWords on my blog but could never get it to work, which is probably ok. I have such mixed feelings about ads and blogging. 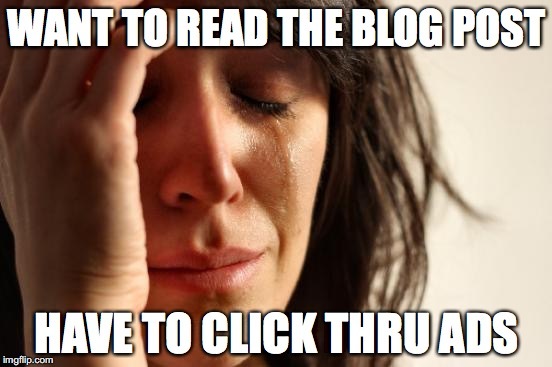 While I understand the desire to make money while blogging, I loathe reading blogs that are full of ads. Runner's World online is a perfect example. There are ads upon ads upon ads. It's almost impossible to read the articles. A lot of times, I'll click out of an article or blog post if there are too many ads. So, no, I won't be monetizing my blog. Guess I can't quit my real job. After several years of hosting the Running Book Club, this year I considered giving it up. Prior to this year, the book club posts were the least viewed posts of anything I published. But as a book lover and a want-to-be writer, I felt it important to give authors a boost. This year, I stopped hosting the link up (I had very few linkers) but continued with the book club. Interestingly, the book club posts started to get more views this year. I don't know why, but I'm happy about that and I already have 4 books picked out for 2018. Spoiler alert: Deena Kastor is sending me a galley copy of her upcoming book! Squeeeeee! The most popular book club post this year was The Endurance Diet by Matt Fitzgerald. While not one of my favorite books, I understand the popularity of a book that talks about diet as a way to improve endurance. Based on all the posts about food in the blogosphere, diet is a pretty popular topic. I also hosted a giveaway of the book, which may have boosted the popularity of my review. People do love free stuff, don't they? My favorite book? In fairness to all the authors I featured this year, I'm not going to say. I'm grateful to all the authors who reached out to me and asked me to share their books. A big surprise to me was the accessibility of celebrity runners who sent me pictures and answered my questions when I asked. Dean Karnazes even promoted my book review on Twitter and his Facebook page, garnering a ton of views for me. He is an incredibly humble, nice man and I am a huge fan of his. Don't even get me started talking about my wonderful meetup with Kathrine Switzer. I read her book, Marathon Woman in May, not knowing at the time that I would be able to bring it to an interview in the summer and ask her to sign it. That was a highlight of my year. And that sums up my year of blogging. If you've made it this far, thanks for reading. Going into year 5 of this little space on the internet, I'm grateful to all of you who read, comment, and share my posts. I love our community. I'm looking forward to another year of blogging and running with all of you. Do you review your blog statistics? Do you make changes based on your readership? Ads--yay or nay? 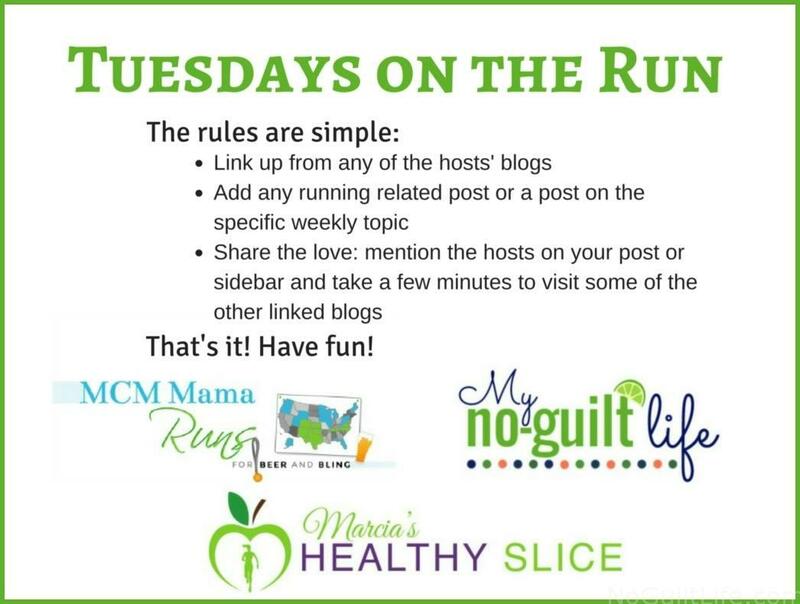 I'm linking up with Marcia, Erika, and Patti for Tuesdays on the Run as well as Debbie, Lora, and Rachel for Coaches Corner. 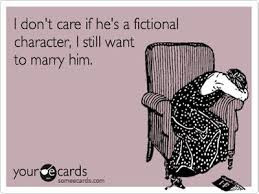 Nope unfortunately. I am lucky to get a post written LOL. Keep it up. Love reading your blog. Thank you! Here's to another fun year for both of us! Because my blog is still not self hosted, I don't have access to as much stats. But truth be told, I mostly write about what I want to write about, and sometimes I write what I think is a great post & barely anyone comments, other times I'm totally shocked by a response. As to Ads, I'm kind of with you. I have made just a tiny bit of money off of Amazon, but I hate blogs that lock up my ipad or I can't read through the ads. I'm on the fence about it, too. And I would't at all laugh at 200 visitors per day! When I was the About. com Guide, I did get way more, but I also had a whole network behind me doing some of that marketing. It is what it is. I still enjoy blogging. That's the bottom line! Now the real decision for me is whether or not to self host since I don't make enough for it to actually pay for self hosting! I thought anyone could use GA--I'm not self hosted either, technically. You have to sign up for it and install the code in your HTML. I get a ton of information. I guess it's not really important, but it's like wearing a running watch. I like data. But like you, I do enjoy blogging just for the connections I make. Oh, I wish I knew about your book club because I love reading too! And how lucky that you get a copy of Deena's book! I pre-ordered mine and cannot wait to read it! Well, now you know about the book club!!! When I do sponsored posts, my goal is always to make it feel not like an ad. One of my highest read posts was a sponsored post for prAna. I hope I can continue to acheive that. I'm not sure my style fits what the sponsors are looking for, tho. I'm with Darlene - lucky to get a post written these days. I will say that I do look forward to reading your posts -- no matter what "category" they fall in. You write great wry humor (snark?) and also good serious posts. As for the book reviews, maybe people feel more comfortable reading/commenting when they haven't read the book now that it's not a link up? I wonder? It's been an interesting evolution. Whatever, I'm thrilled to continue my monthly book reviews. I just love to read. And thank you so much for the kind words. Thanks for another great year of writing, my friend. In addition to all your other fabulous attributes, you have a true gift for writing. 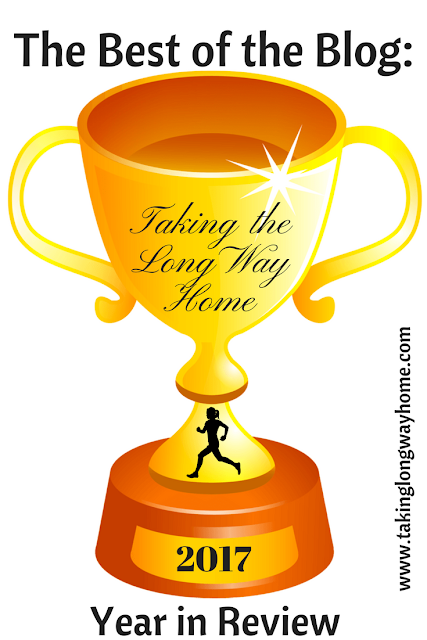 Your blog posts are unfailingly engaging and uplifting, whether the reader is a runner or not. I can't pick a favorite post, but I will say is that what I love about your site is that you a real. No, nowhere near a "Debbie Downer," but there is nothing appealing about a site that is always cheerful. A fine balance between being optimistic yet realistic is just right. You've hit that tone. Best of everything in your fifth year, good luck with you ongoing battle with RA, keep on running, and keep on writing. Love from your Rhode Island pal. You are just the best! Unfailingly loyal, you give me feedback that helps me grow. Thank you, so much for hanging with me Connie! Excited to finally "meet" you in July next year! I'm excited to meet you too! And I promise that I'm not like that Grandma who keeps blabbing on and on about stuff...I only do that here! I've enjoyed reading your blog... however I don't know how I missed the most popular post. I'm heading over right now to check it our! Thanks for reading! I don't know that I would have chosen that post as my favorite, but apparently I'm in the minority! I love your blog and love reading it - just have a heck of a time commenting because I have five different gmail accounts and sometimes I can't get the right one to log in LOL. I hate ads. I have a couple of affiliate links/pictures on the sidebar, but I'm on interested in adding more. I've also backed way off on trying to make more off the blog - I want to write when and what I want and make my money with other side gigs. Yeah, the commenting thing has baffled me this year. When I was preparing this post, I considered having a favorite spam category and was reviewing my spam comments this year. Imagine my surprise when I found a whole bunch of comments from legit readers. I've tried different comment platforms and nothing seems to work as well as the original. Which isn't saying much... Thanks for sticking with me and ocmmenting! 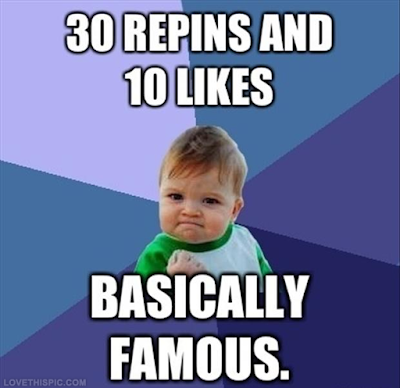 Pinterest is my #1 traffic source as well! And it took off when I actually started to focus on it. Isn't it funny which blog posts take off and which ones you think will take off? I get surprised all the time. And I'm constantly thinking about monetizing, but not through ads. You have to have TONS of traffic to make decent money from that anyway (rule of thumb I heard is 100K pageviews per day for $100K income per year). In 2018, I'm going to sell my first product and start a Patreon page...which lots of podcasts have. I honestly don't look at my GA that much or enough and also like to write about what I like to write about. I have also gone back and forth about the ads and so far have decided they are not worth it. I also find it incredible irritating when ads and videos start playing while I am trying to read. I am also concerned about having control over which type of ads are placed. So for now, I will do what you do and just keep writing about what I like to write about too. I don’t look at my analytics as much as I should beyond my daily views. I may just have my own version of this post on Friday though. Always a fun idea to review and I haven’t done it for a couple years. I’m pretty sure I know my most popular (and definitely not my favorite) post. It would be my review of the Noom weight loss/fitness app. They’ve been doing sponsored Facebook posts for a while and i get a couple hundred google hits a day from that. I’ll be in trouble if they stop advertising! Other than that though most of my traffic comes from Pinterest too. I can't wait to see what you come up with! I enjoyed preparing this post. It was interesting reviewing my stats. Looking at that also helped me start preparing for 2018. You've had such a great year! I'm glad we've connected over blogging. I love how it brings people together. I check my GA and am always surprised at what posts are most popular. Pinterest is the biggest source of traffic for me! I'm so glad we've connected too! I love the variety on healthy topics on your blog. My blog is dying a slow, lonely death. 35 posts this year vs. 235 posts in 2012 when I started it. I need to decide if 2018 will be the end or a fresh start. Last year at this time, I was trying to decide if I should stay or should I go. But RA gave me a whole new thing to write about, and writing about it made it easier for me to deal with it. Who knew? I'm so thrilled that you've continued to read and comment, even though you don't have a blog for me to reciprocate. No worries, no ads will be coming. Looks like a pretty great year. I do not review statistics, I should, but I don't. I continue on blogging for my benefit as much as my readers, as few as they may be. I also love all the connections I have made over the year. And every time I say I am gonna quit blogging, something amazing happens. Right? Even though my something amazing really wasn't amazing at all, RA gave me motivation to write and share and vent. Who knew that something positive could come out of such bad news? I'm with you, stay true to yourself. If people want to read your story, then they will, and if they don't then to each their own. And I'm also with you on the ads. I have stopped reading so many other blogs that are incredibly ad heavy. I get that everybody wants to make money, but at the same time if the number and/or placement of ads makes it difficult to read the blog itself, then I'm out. I'm glad to see that you haven't given up entirely on blogging. It's been so fun connecting and I've loved following your marathon journey this year! I occasionally will check out my GA, but not frequently enough. I plan to be much better/consistent next year. I do have AdSense ads on my blog, but I try to make them as unintrusive as possible, which is probably why I haven't made any money. I do kind of hate blogs with tons of ads, though. I wouldn't mind making some $$ from my blog, but first I need to get my readership up. I am curious about being an amazon affiliate. Is it worth it? I've made some coin on my Amazon affiliate links, not much, but it's so easy that it's not a big deal. I have resigned myself to the fact that blogging is just a labor of love and not much else. There are a few blogs I've stopped reading because the amount of ads on their pages is insane. My web browser takes FOREVER to load them. It drives me batty. A couple ads here and there are fine, but when they take away from the user experience is when I'm all "NO!" My computer hates them. It heats up and slows down. Just like me running a race. I'm still working on defining my target audience. That is a top goal of mine in 2018. Once I figure that out, I feel like I can then determine how to monetize. But I'm ad adverse so I'll be hoping to find other ways to make this blogging venture financially viable! It's a challenge without ads, I'll give you that! But I enjoy blogging so much--writing, sharing, and connecting--that it really is rewarding no matter what! I check my stats occasionally and its always interesting to see what is happening. Pinterest has definitely become my biggest referral source but there doesn't seem to be any rhyme or reason as to why some posts will randomly take off. I had a crazy high month in March (from Pinterest). I have a few ads and use Amazon associates, so I might make like $20-$30 per month (sometimes more if I had a really good month of page views). I've had a few issues with ads slowing down my site and but the customer service is pretty good at Gourmet Ads and they will make adjustments when I tell them that. As much as we try to figure out the reason why things happen on social media, I don't think we ever will. i'm just glad you all come back to read what I write. It's a great little community we have here. As long as the ads don't take away from the reader's experience, I think they are fine. I hate ads in blogs. Makes for a very poor reading experience. And I think I look at mine as sharing my love for running via a love for writing. Hope you find the happy medium that works for you. I admire how much effort and time you've put into creating a wonderful blog. I'm pretty content with where I'm at for the most part--I won't lie, I'd love more readers but other than that, it's ok! I will admit I took all the ads of my site about a year ago because I decided the money I was making off of them was not worth how bothersome they were. I wonder...do the people who have all those ads actually try to read their own blogs? That's so crazy! I get a lot of traffic from SU. I'm surprised more people don't use it. Lots of interesting information !! as a reader of over two years, I appreciate that you won't add a ton of adds to your blog!! I usually skip those that have too many adds, if I can't read it because of ads, I'm clicking out! Stay awesome Wendy! Thanks for staying loyal! Have no fear, I won't bombard you with ads! Congrats on a great year of blogging! I haven't fully analyzed my GA yet but I was happy to get much more traffic this year, even though I wasn't writing as many posts the latter half of the year. So weird. 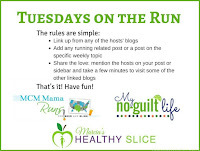 I can't even say what my favorite post was, but the Running 101 posts have definitely become my favorite to write! Happy New Year! I don't do a formal Running 101 type thing, but it seems that my Wednesday posts have been more educational, based on the Coaches Corner link up. It's kind a fun format. You've had a great year of blogging! I love the stats that blogger provides although I didn't do much blogging in 2017. I hope to do better this year. You can join Holly and me on the Weekly Wrap! I'm looking forward to seeing more posts from you this year!